One of the biggest struggles inner city youth face today is rampant violence at home and at school. Many of these youth come from tough home environments and are often faced with even harder challenges once they reach school grounds. Often times, conflicts that originate in the class room, gym or lunch room, follow them into their neighborhoods after the bell rings at the end of the day. Here are 3 effective strategies schools can teach students to help them deal with potentially violent situations. A good way to teach effective conflict resolution strategies is to use role playing. 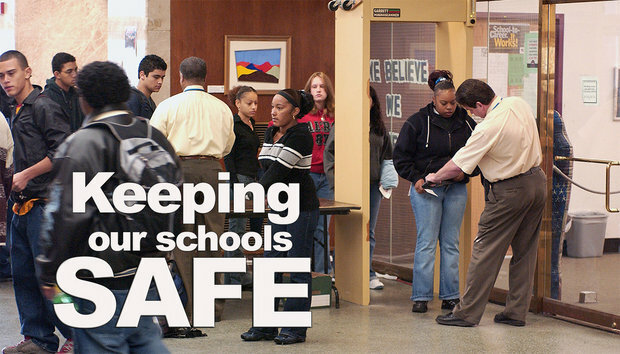 Set up the scenario of a situation of bullying, violence, or even drug use. Throughout these scenarios, group leaders can show students the best ways to deal with the various situations they might find themselves in. Doing a tracking exercise could prove to be another beneficial way in teaching such strategies. Leaders could have students simple observe and track different situations of conflict and violence that they might encounter throughout their day at school. Come back as a group and discuss those situations and how they could have been handled to prevent a negative outcome. Simple teaching of good listening and observation techniques can prove to be of huge benefit. Often times the body language of someone can be misconstrued and taken in the wrong context, therefore leading to an unnecessary conflict between two or more people. Teaching students to simply stop and think before reacting to perceived negative situations will prove to be beneficial when it comes to preventing bullying and violence. Often times, we as humans react out of pure emotion and do not always stop to consider the true outcome of the situation. Teachers and class administrators should teach students to not only think in the beginning, but throughout the whole situation in order to have a better handle on the possible outcome. Inner city youth are often faced with obstacles at home that lend themselves to the development of negative or low self-esteem. Because it is unlikely these inner city youth will be taught and encouraged to have positive self-esteem in their home life, it is of importance for school leaders to step in and do their very best to teach these techniques. With all that school leaders are faced with on a daily basis in inner city schools systems, it may be hard for them to implement these additional programs. 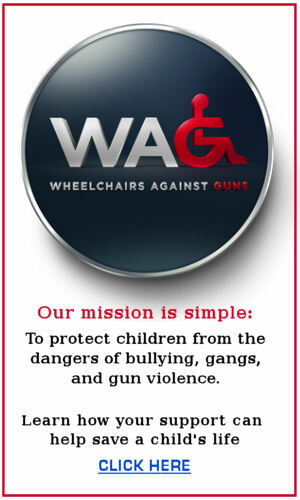 That is where the help of organizations like Wheelchairs Against Guns (WAG) comes into play. WAG is a group of individuals who have experienced the negative effects of gangs, bullying, and gun violence first hand. Because each member has been injured or impacted by violence in their past, they are now dedicated to reaching out to inner city youth and teaching them better ways to deal with the violence and negativity in their neighborhoods. Through workshops, WAG teaches students “The 3 Pillars”: Conflict Resolution, Critical Thinking, and Building and Maintaining Positive Self-esteem. The information taught at the workshop is engaging and well received because inner city students can identify with the members of WAG are considered “real”.